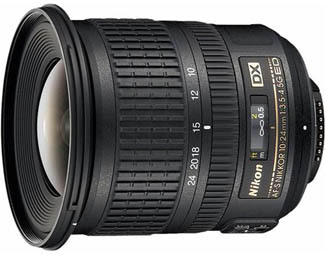 The Nikon 10-24mm f/3.5-4.5G AF-S DX ED Lens is a wide angle zoom with quiet AF and superior sharpness. 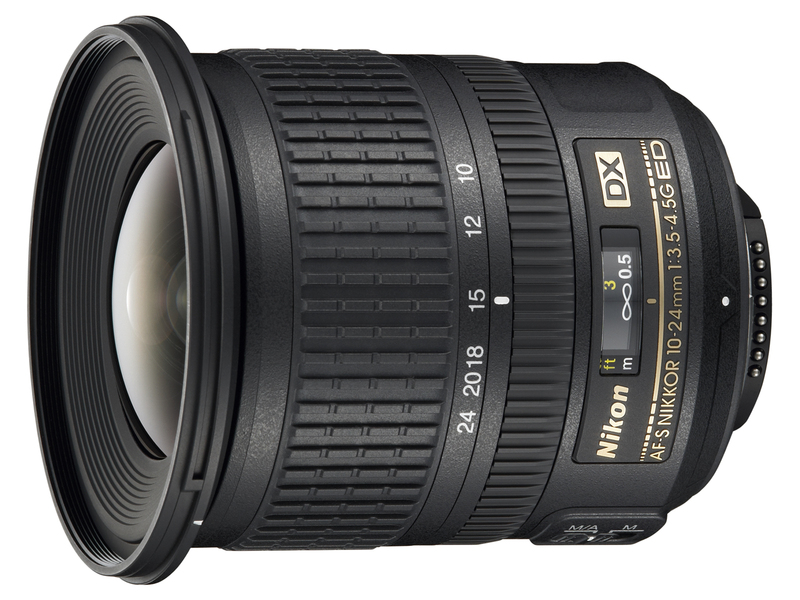 It is similar in design to the Nikon 12-24mm f/4G AF-S DX IF-ED but provides a little extra width for shooting in extra tight spaces. This lens is ideal for shooting landscapes, vistas, and events where crowds and the environment need to be photographed. This lens is compatible with crop frame (DX) sensor cameras only. It is not recommended for full frame sensor cameras unless they have a crop mode. Its apparent focal length on 1.5x crop sensors is 15-36mm. • This lens is compatible with crop frame (DX) sensor cameras only. It is not recommended for full frame sensor cameras unless they have a crop mode.